The GMS Freight Transport Association (FRETA) is a regional coalition of carriers, freight forwarders, logistics associations and individual companies that are interested in facilitating and developing trade and transport in the GMS subregion. It aims to function as a sustainable organization that represents the private sector in promoting transport facilitation initiatives and is part of the GMS-Business Forum (BF). The GMS FRETA office, established in Vientiane, hosted its first General Annual meeting on 31 October 2012. GMS FRETA endeavors to find a common ground between the six GMS countries to help reach agreement on the rules and standards of freight transport. FRETA also strives to uphold industry standards by training companies, managers, drivers and staff on the proper and effective adoption of international best practices in transport and logistics, which helps raise the level of professionalism, efficiency and performance of its members. Also within its advocacy role, GMS FRETA provides the private sector with a platform to represent the industry and to raise awareness on regional transport and logistics issues. It strengthens the cooperation between the GMS-BF and road carriers, forwarders and logistics associations and companies in promoting trade and transport facilitation. This study aims to provide policy makers with private sector views on road transport, as well as the challenges facing the private sector in conducting business and trade along the GMS NSEC. This study explores the views of the private sector on the present road transport challenges, voices their concerns and insights on development opportunities, and identifies priority activities for both the private and public sector to further develop the Yangon–Mandalay–Kunming route into an economic corridor. Established in 2000, the Greater Mekong Subregion Business Forum (GMS-BF) is a multicountry, independent, nongovernment organization, and a joint initiative of the chambers of commerce of the six GMS countries; Cambodia, People’s Republic of China (PRC), Lao People’s Democratic Republic (Lao PDR), Myanmar, Thailand, and Viet Nam. It plays a key role in promoting and facilitating cross-border trade and investment in the region. The main goal of the GMS-BF is to foster cooperation and growth of the private sector through information sharing, networking, and public-private sector dialogue. It is active on issues of common interest to members such as trade facilitation, cross-border trade agreements, and preshipment financing and capacity building for small and medium-sized enterprises. The forum seeks to promote the GMS as a unique trade-investment-transport hub. The GMS-BF is funded by corporate membership fees. The Asian Development Bank (ADB) and the United Nations Economic and Social Commissions for Asia and the Pacific (UNESCAP) have also supported the forum. All of the members of the GMS except for Yunnan are concurrently members of the Association of South-East Asian Nations (ASEAN). ASEAN was formed in 1967 by Indonesia, Malaysia, the Philippines, Singapore, and Thailand, and then later welcomed Brunei in 1984. ASEAN originally proclaimed that its intention was to foster economic and social cooperation, but the organization implicitly focused on political and security matters for the first few decades. Although the goal since ASEAN's formation in 1967 was to encompass all 10 South-East Asian countries, the political and economic complexities in the region kept the ASEAN members apart from their other neighbors until the mid-1990s, when the remaining South-East Asian countries gradually became members. Vietnam joined in 1995, followed by the Lao People's Democratic Republic and Myanmar in 1997. Cambodia's domestic turmoil postponed its membership until 1999, and after 32 years ASEAN finally became complete. As the political landscape in South-East Asia changed in the 1990s, as well as ASEAN's membership, there has been a noticeable shift in ASEAN's goals. Nowadays, the association focuses on economic cooperation such as the ASEAN Free Trade Area (AFTA), cultural and social cooperation (women, health, poverty eradication, and other issues), and the environment. ASEAN does not compete with GMS, nor is it contrary to the GMS's goals and strategies. In fact, ASEAN and GMS are highly complementary and work towards the same goals, only with slightly different arrangements. ASEAN has an explicit focus on raising the standard of living and closing the gap between the original members and the newer (and poorer) members. As early as 1996, ASEAN devised its "Basic Framework of ASEAN-Mekong Basin Development Cooperation," which provided the foundation for the ASEAN Mekong Basin Development Scheme. The seven members of ASEAN at that time formed a "core group" for the Mekong Basin scheme that included Cambodia, Lao People's Democratic Republic, and China. The framework laid out the objectives and principles for cooperation, and also identified priority sectors: infrastructure, trade and investment activities, agriculture, forestry and minerals, industry, tourism, human resource development, and science and technology. It also recognized the role of the other Mekong-related multilateral institutions in the development process and sought to complement their activities. Of particular interest to the local and foreign business communities are the various economic cooperation programmes that the newest members of ASEAN will benefit from, and even Yunnan is likely to benefit at least indirectly. The most ambitious economic programme is AFTA, which aims to reduce tariffs in most product categories. ASEAN agreed on the AFTA framework in 1992, but it has been amended several times as a result of the new members and other circumstances. Under the Common Effective Preferential Tariff (CEPT) for AFTA, many manufactured products will have tariffs at 0-5 percent by 2003 (the original schedule was 2008). A 1999 agreement allows the member states to phase in tariff reductions on sensitive and highly sensitive products. Brunei, Indonesia, Malaysia, the Philippines, Singapore, and Thailand must phase in the 0-5 percent tariff on sensitive products by January 1, 2001 or at least by January 2003, with full implementation complete by January 1, 2010. For highly sensitive products, such as rice and other agricultural goods, the end tariff rates are flexible but will likely be around 20 per cent. These will be phased in beginning in January 2001 or by 2005, with fully implementation by January 2010. CAMFFA stands for Cambodia Freight Forwarders Association, which is the official representation of the freight forwarders companies in Cambodia. Established since 2004, CAMFFA aim at strengthening Cambodia Freight Forwarding Industry. 1. 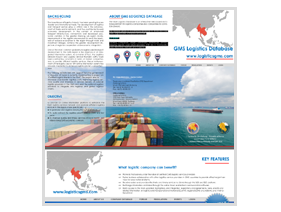 Promote engagement in enterprises related to the freight forwarding industry by rail, road, sea and air, including customs clearance and warehousing. 2.Support and assist Members in solving various problems and obstacles, including negotiating and undertaking agreements with non-members in the interests of Members commercial activities. 3.Monitor developments in trade and markets related to freight forwarding, both within and outside Cambodia, in order to provide benefits in the pursuit of trading, industrial, financial and economic affairs. 4.Join together in harmony and to mutually exchange views in technical and practical matters, information, and research, related to freight forwarding in general. 5.Exchange with government institutions consent statistics and/or documents and/or any information related to freight forwarding operations. 6. Exchange with CAMFFA Members consent statistics and/or document and/or any information related to freight forwarding operation. 7. Promote good relations between employers, government departments, international institutions and employees. 8. Promote international freight forwarding in general and bring local freight forwarding activities towards international standards. 9. Have constant dialogues and co-operate with the relevant government departments in matters of local and international freight forwarding affairs. 10. To conclude agreements and stipulate regulations and terms for members to carry out their business within laws and guidelines set. 11. Represent the freight forwarding profession vis-á-vis external organizations. 12. Perform all other lawful activities in furtherance of these stated objectives. LIFFA was officially established on the 13-Jan-2003 on the Approval No 123 of the Minister for Transport, Communication, Post and Construction (M.CTPC). It functions and operates under State Laws and her internal Regulations, under the supervision of the renamed Ministry of Public Works and Transport (MPWT). LIFFA is a non-profit organization, established to bring under one single umbrella freight forwarding companies, transport companies and customs brokers. MIFFA is a Member of AFFA (ASEAN Federation of Forwarders), FIATA (International Federation of Freight Forwarders Associations) and UMFCCI (Union of Myanmar Federation of Chambers of Commerce & Industry). Thailand 's economy rapidly expanded in the 1980s, largely due to the huge growth in the nation's import and export sectors. The automotive industry saw parts and materials arriving from overseas, with complete vehicles being assembled in Thailand and sent throughout the country and to ports for overseas shipment. Electronics, agriculture, furniture and other manufacturing segments relied on the movement of goods, through ports and airports as well as throughout the country and region. As a result, the freight forwarding industry took on a more vital and active role, but the speed of its expansion created intense competition as well as haphazard growth. Many felt the industry lacked direction, as the industry was unregulated and had no controlling body to ensure freight forwarders operated according to international standards. To confront the problems facing the industry at this time, a group of international freight forwarders gathered together and finally decided to form an association that would benefit the entire sector. Som Pliansaneh, a member of this original group, initiated a proposal for the formation of a freight forwarders' association, which was submitted to the Board of Trade of Thailand (BoT). With full support from the BoT, the original group invited another six or seven freight forwarders to join the new association, after which Mr. Som, Khlang Tantimongkolsuk and Vichai Mehkmahan registered it with the Ministry of Commerce. On March 10, 1987, the Thai International Freight Forwarders Association (TIFFA) was officially inaugurated. After TIFFA had been founded, the original members invited other freight forwarders to join the association, and a general meeting was called to elect the first Board of Directors. At this initial assembly, Mr. Som was chosen as TIFFA's first President, with 14 Directors joining him on the board. The original board remained in office for two years, at which time a new Board of Directors was elected with Mr. Khlang, another founding member, being tabbed as the association's President. Succeeding Mr. Khlang two years later was Phongthep Tangpinichit, who served as President for the TIFFA board's third term, along with a newly elected Board of Directors. Somsak Visetruangrote took the helm of TIFFA's board during the fourth and fifth term, before Suwit Ratanachinda was elected President, a position he still holds today.